Making Strides Against Cancer drew a large crowd last year. This year’s event is set to be even better. 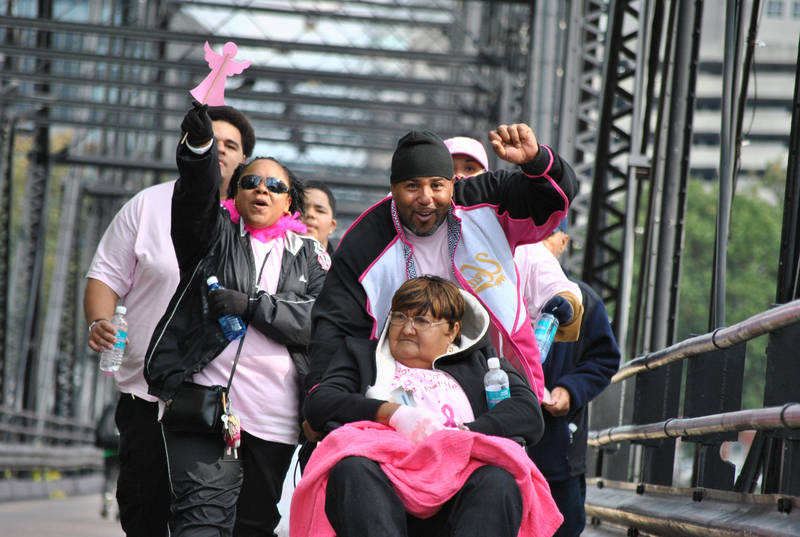 There’s still time to sign up for Harrisburg’s 15th annual Making Strides Against Breast Cancer walk taking place October 20th. It’s a fun event that brings together a strong community. We’ll be at the finish line, cheering loudly for you. Stop by our booth and learn more about our 3D technology, set up a mammography appointment and pick up a certificate for a free manicure after your breast cancer screening exam. Organizers hope that all of that pink you will be seeing leaving City Island. Will get you thinking about the impact of breast cancer in our country and what you can do to reduce your risk. • Breast cancer is the most frequently diagnosed cancer in women (excluding skin cancer) and the second leading cause of cancer death in women after lung cancer. • Mammography can identify breast cancer at an early stage, usually before physical symptoms develop, when the disease is most treatable. Yearly mammograms are recommended starting at age 40 and continuing for as long as a woman is in good health. • Breast cancer death rates in women have declined by 30.1 percent since 1991. That means that a woman in the US today has a 30 percent lower risk of dying from breast cancer than in 1991.